Clean and green, we’re never late. 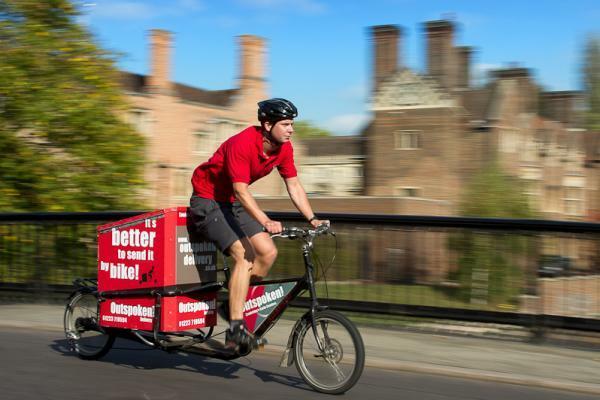 With the news that Cambridge is one of eight cities to share £114m as a sort-of extension to the Cycle City Ambition grants the question is: What to spend it on? We don’t know what the city’s share is; an equal divide between the cities would give around £14m over three years, yet Cambridge is the smallest of the cities by population so £10 per head per year would be around £5m, although the city did have around £20/head/year under the Cycle City Ambition grants. The government had to announce something as the current grants end in March 2015 and they would have had to go to the general and local elections with no funding for cycling. 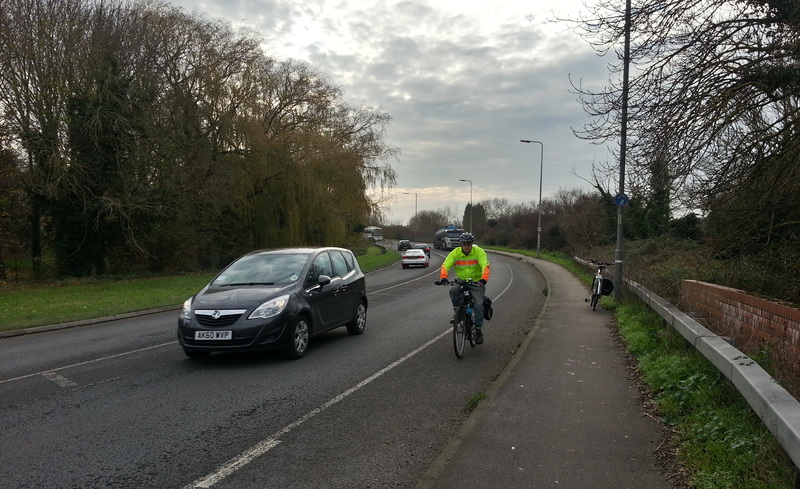 Cycle funding is still stop-start says Mike Davies, Cambridgeshire’s Cycling Projects Team Leader. Some have questioned if the money has been spent well, or indeed spent at all, while the New Forest National Parks Authority was refused permission to divert funds to other projects. Meanwhile the rest of the country, bar London boroughs and Transport for London projects, have no dedicated funding for cycle improvement at all. We still have stop-start funding that has lead to staff coming and going, and no design guidance or leadership from central government. The current Cycle City Ambition money centred on Cambridge extends out to the ‘necklace’ villages too and the money has been spent, or will be spent, on Hills Road, Huntingdon Road, Trumpington Road and the Sawston to Granta Park route. See here for details of these schemes. In Cambridge the forthcoming ‘City Deal’ will fund cycling improvements, though there may be a clash with some of the proposed bus improvements. The list being discussed includes the Cambridge–Royston route and Hills Road/Station Road, with the Chisholm Trail very likely to be funded at least and a bridge over the Cam at Ditton Meadows to be funded from elsewhere. Here’s my thoughts on what we should spend the addition Cycle City Ambition fund money on. I’m picking a few less obvious projects to get people thinking, but all with a purpose. 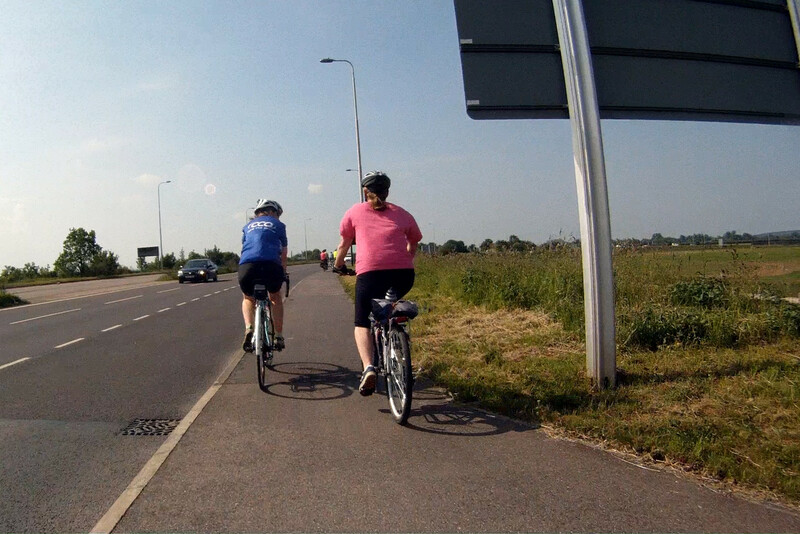 A cycle route, or any route, is only as good as it’s weakest link. We now have some good parts to the cycle network that just end. 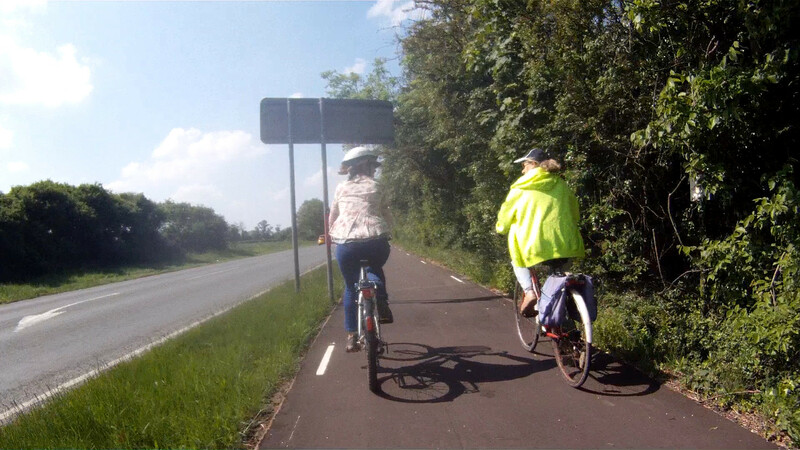 If we are to get people not currently cycling to do so we need end-to-end routes that are segregated and feel safe, convenient and hassle-free. 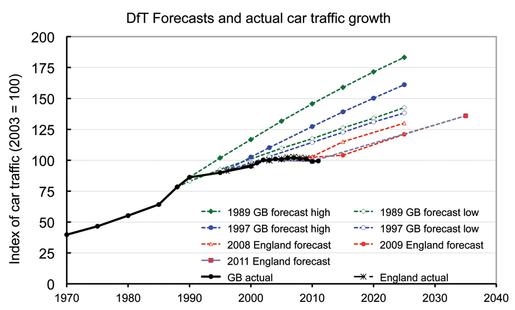 So let’s join up some of the gaps in our existing network and make them super routes. With the new link avoiding the M11/A10 junction now open it is clear where the gaps are between Harston and Trumpington and thence on to Addenbrooke’s, the Biomedical Campus, colleges, the railway station and the city centre. What’s more the gaps don’t look too hard to fill. There appears to be sufficient room on the section of the A10 between the Trumpington Meadows path and Harston to narrow the road so a 3m cycle track and 1m buffer strip could be built. This road is no longer a ‘trunk’ road and whilst 50mph at the north end near the M11 this quickly reduces to 40 and then 30 for the village. Narrowing the road, and perhaps dropping the speed limit to 40mph could help to calm traffic in the village too. By removing the run-off strips on both sides of the road and the ghost island in the centre the narrow shared use path could become a wide cycle track. Welcome to Great Kneighton. 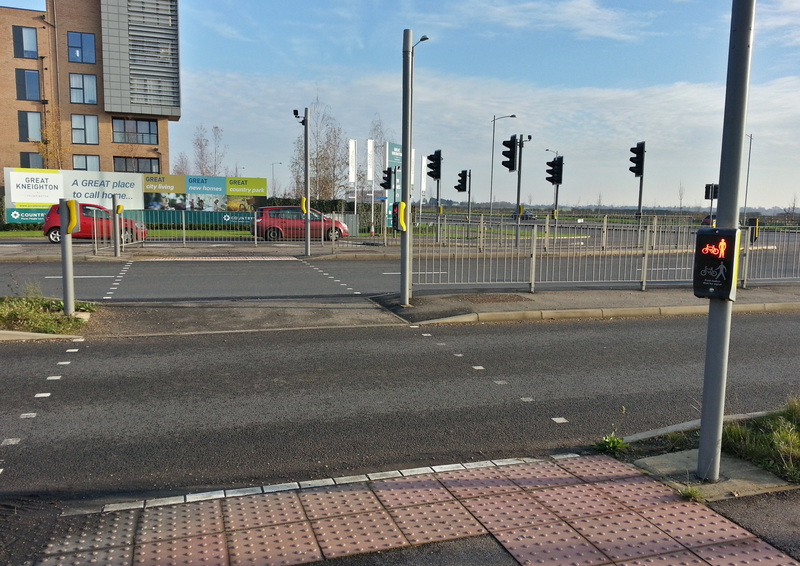 This multi stage crossing near Addenbrooke’s Road is a significant barrier to walking and cycling for a development that has relatively good provision within its boundaries. Once on the north side of the M11 the Trumpington Meadows path takes you to the Great Kneighton junction and a difficult route to join the busway path (for the station and Addenbrooke’s) or the Trumpington Road cycle route to the city. The multi-stage crossing from Great Kneighton is an abomination that is a true barrier to cycling and walking to local facilities. 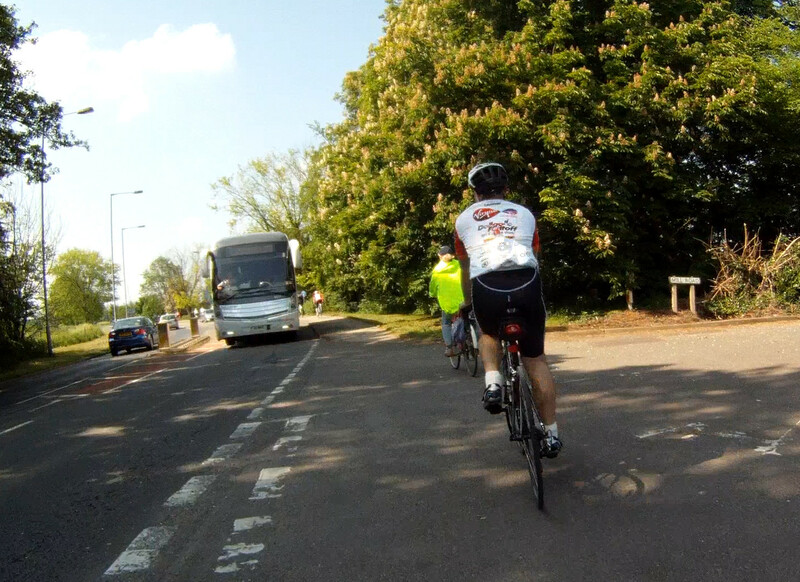 There are two bus-only roads that appear to be unused that could become part of a route to the Shelford Road junction. Unfortunately the route through the centre of Trumpington village is narrow and a real traffic sewer. Assuming we can’t improve the village by reducing the traffic, perhaps a better route would be to bypass Trumpington and join Church Lane and the good part of Trumpington Road. As part of this project I would like to see design work done for a route through, or bypassing, Harston to join up with the A10 south of the village. 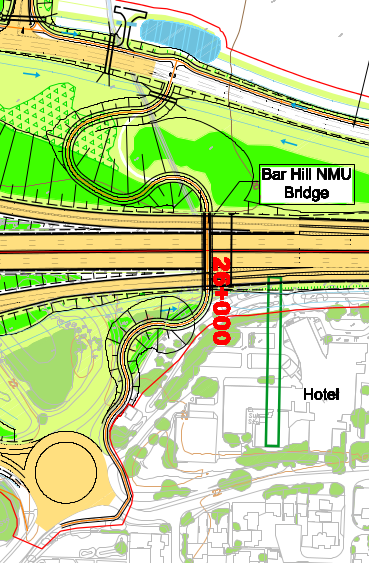 There have been a number of projects on Hills Road over the years, the best of which should be the forthcoming ‘Danish’ hybrid cycle tracks on both sides of the road. As you can see from the map there are significant gaps in the route especially around the major junctions on the route and the black hole of cycling that is the Addenbrooke’s hospital site. 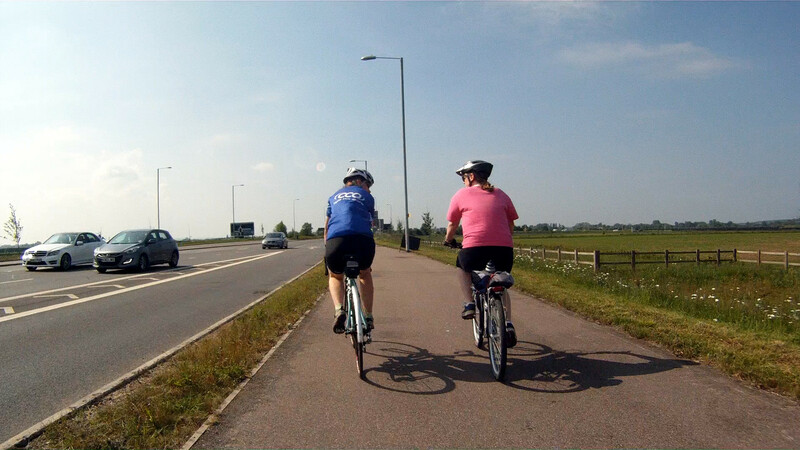 There is a off-road route from the Babraham Park and Ride site north west however it does need bringing up to Space for Cycling standards. To join this route up means changing the Station Road, Brooklands Avenue, Cherry Hinton Road, Long Road and Fendon Road junctions. At £1m a junction this is too long a list for now, and as Mike Davies ‘still [has the] scars from recent junction projects’ it’s not going to be easy. 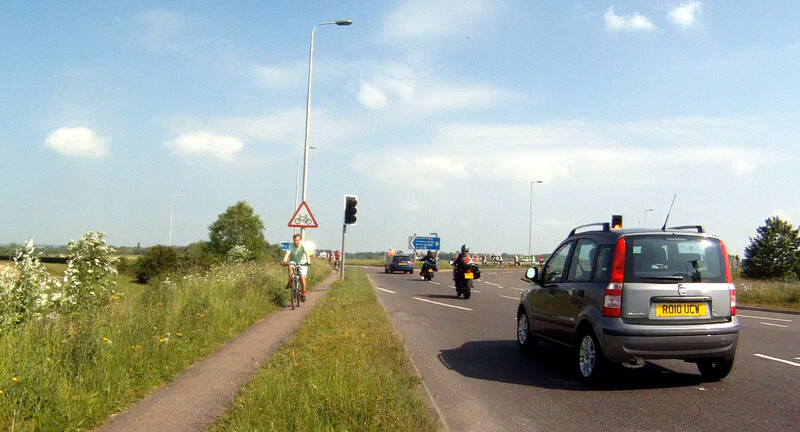 Yet if we are to get end-to-end cycle routes the junctions have to be done too. Showcase projects can be useful to demonstrate what can be achieved and as a template for future work. When bidding for money and explaining schemes to funders and members of the public you can say ‘go and have a look at such-en-such road, that’s what we will be doing here.’ For example, there is considerable concern about the new-fangled old-fangled floating bus stops on Hills Road that should be allayed when they have been brought in to use and people can go and see them. 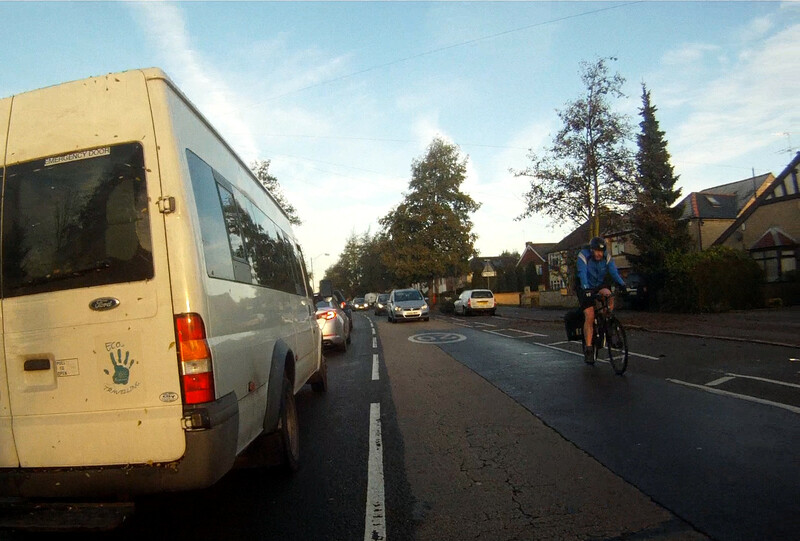 Traffic queues along the length of Green End Road making it difficult for people on bikes to pass. You can try ‘white lining’ to get past the queuing traffic, if you keep your wits about you. The section of Green End Road from the junction with Milton Road to Cam Causeway is about 19m wide, exceeding the 15m needed for a Dutch layout. 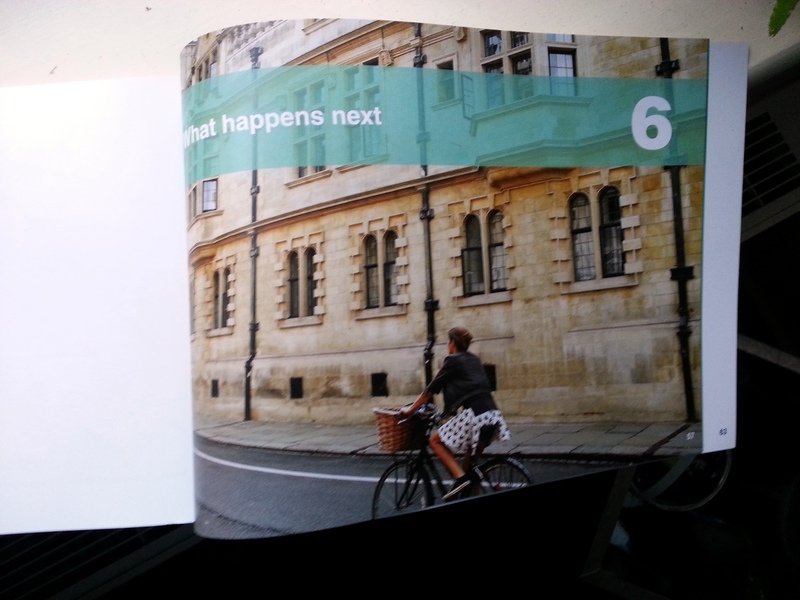 Typically for Cambridge, about one third of the peak time traffic on the road is people on cycles. It is a busy route from Chesterton and the city centre to the Science Park and Cowley Road as well as being on the route to two schools. The route is horrible with queuing cars blocking the route for cycles, a wide but poor quality shared-use path on one side and parked vehicles on the footway. The route is also unattractive and would benefit from more greenery. 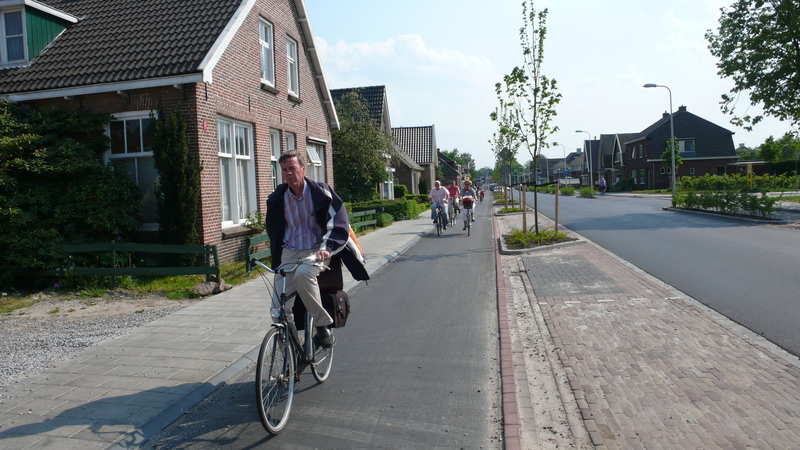 A true Dutch layout here would provide cycle- and car-free pavements for people walking, segregated cycle tracks, dedicated car parking, improved traffic flow and a more pleasant street through more trees. While a Dutch layout on Green End Road would provide many benefits, continuing the project on to the Science Park could make a longer continuous route fixing some of the awful ‘infra’ the County Council has inflicted on us and provide more things to show off. To do this the Milton Road junction would be replaced one with segregated cycle routes, the various awful shared use paths between that junction and the Science Park would be rebuilt and the roundabout at the Science Park could be rebuilt with a true Dutch layout (you know, annular ring not just geometry). There is plenty of room to build the roundabout, though I don’t know if this part is public highway or a private road. Between Mitcham’s Corner and High Street Chesterton we could have a true Dutch layout with a high quality crossing of Elizabeth Way. That crossing was described as one of the worst in Cambridge, but really it has quite a bit of competition for that title. Again this road is wide enough for a Dutch layout and narrowing the road lanes could help to calm traffic. 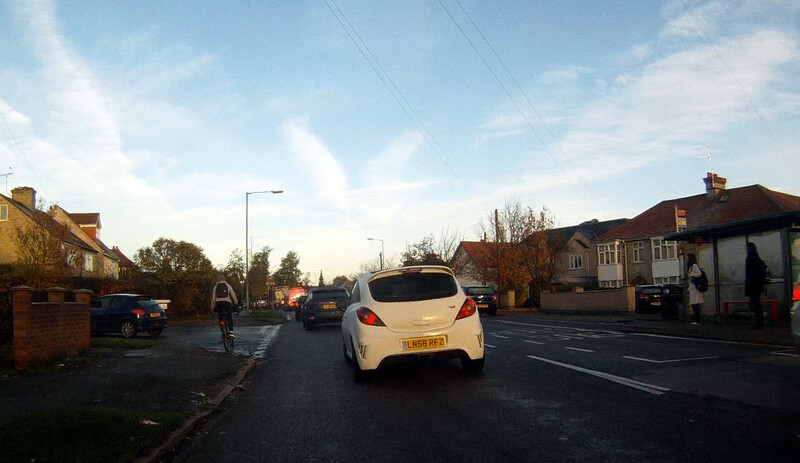 Everyday problems: abuse of cycle lanes. A kerbed, protected lane would help here. Along with all these grand projects there is a myriad of smaller work that could improve conditions for people cycling. There might not be something grand for the leader of the council to open but they will make a difference to everyday cyclists. Here’s just one: A kerbed segregated cycle lane on Pembroke and Downing Street to deter illegal driving in the cycle lane. The Pembroke Street/Trumpington Street junction also needs fixing so people on bikes can cross this busy junction. I look forward to more quality cycle infrastructure projects in Cambridge and region that give a benefit:cost ratio of 5:1 or more. If we spend this additional money well we will not only improve the area for people travelling by any mode, we will also be in a strong position to bid for future funds. I’m hopefully that there will be some changes to Riverside in 2014. 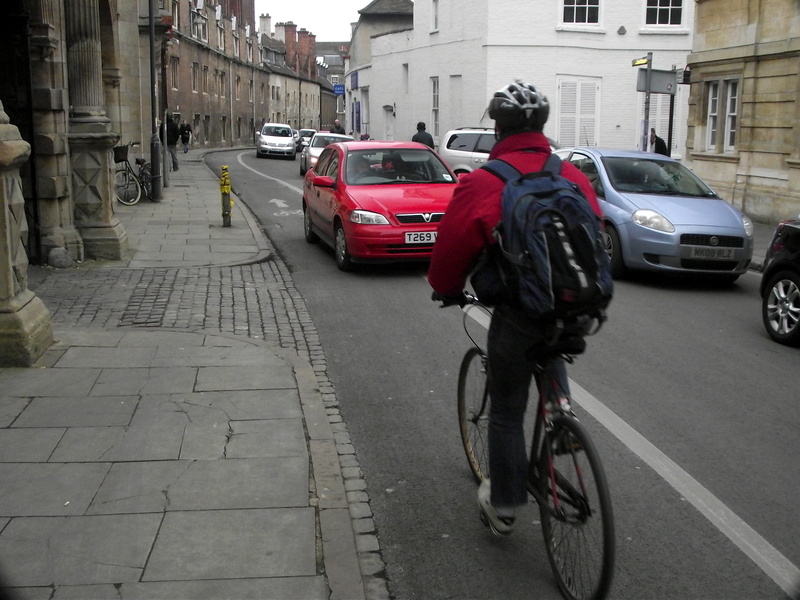 On 25 March 2014 a motion proposed by Councillor Ian Manning was overwhelming passed by Cambridgeshire County Council endorsing temporary trials for streetscape schemes. By trying out schemes on the ground we can do them cheaper, faster and better. As the motion says, concerns about schemes can become more strident and polarised because once the schemes are implemented they are very difficult to change. By the time we have discovered the problems with a scheme the contractors have finished building it, the money has all been spent and officers are working on the next schemes. This leaves us having to cope with the problems and locals and councillors working hard to find money to rectify the work. At Cambridge City Council’s East Area Committee on 10 April I asked the City to do a trial on Riverside in 2014. City officers have said that the idea is feasible. The idea behind doing trials on the ground is so it’s possible to try out a few ideas in a short time, and so we can try them out in practice. Although there might be concerns about, say, traffic congestion we won’t really know until we try it, so let’s just try it and see! It might not be as bad as you think it could be. As it’s temporary it can be removed. [Riverside Residents Association are] supportive in principle but stressed the need for proper consultation with the residents most affected… [they] proposed that a working meeting, to discuss the practicalities, with County and City officers would be a useful way forward before holding a full public meeting and going further in working up plans. I hope that a public meeting would lead to a couple of ideas that could be tested out on the ground within a few weeks of the meeting. The reply from Cllr Joan Whitehead (County Council, Abbey ward) at East Area Committee was that no changes could be made unless residents agreed. I am very hopeful that there is a design that will please everyone. The people living on Riverside want to see changes too and are asking what’s happening with the ‘Vision for Riverside’. I believe temporary changes are the way to get the ball rolling. Once the design is agreed it’s easier to seek out funding. A narrow section of Riverside from Saxon Road to River Lane. We need to do some trials on Riverside because it’s unclear what the best design would be. The pavement needs to be widened and this probably means changes to the parking arrangements, which always raises concerns. Recent proposals to speed up buses on Histon Road were thrown out by councillors because of concerns over parking, and this is after a great deal of time had been spent designing the scheme in detail, consulting on it and in discussion in committee. How much time was spent by officers, residents, councillors and many others discussing this scheme for it to come to nothing? What a waste of time and money. We should do some trials on the section between Saxon Road and River Lane because this is the narrowest section and has no footpath, so people walk in the road. This section of Riverside has 13 houses fronting on to it and there are 11 car parking spaces (at most). I believe that some of the car parking can be relocated a short distance along Riverside to the other side of Saxon Road if angled parking is used, and a number of the Pay&Display spaces further up Saxon Road could change to residents’ permits so there is no overall change in the number of residents’ spaces. Riverside is busy with people walking to work or walking to visit town, people jogging and people cycling. It’s easy to forget how busy it is because this quiet activity merges in with the sounds of birds and the river. It’s clear that on a Saturday there are several thousand people using Riverside, I suspect the number is at least as high on a weekday. So yes, we must carefully consider the needs of the 13 households on this part of Riverside and we must also consider the needs of 1000+ people using the highway every day. Since the beginning of the year the County Council has overwhelming endorsed doing highway changes using trials and two local councillors and a residents’ association are supportive. This is a great base for positive change on Riverside in 2014.